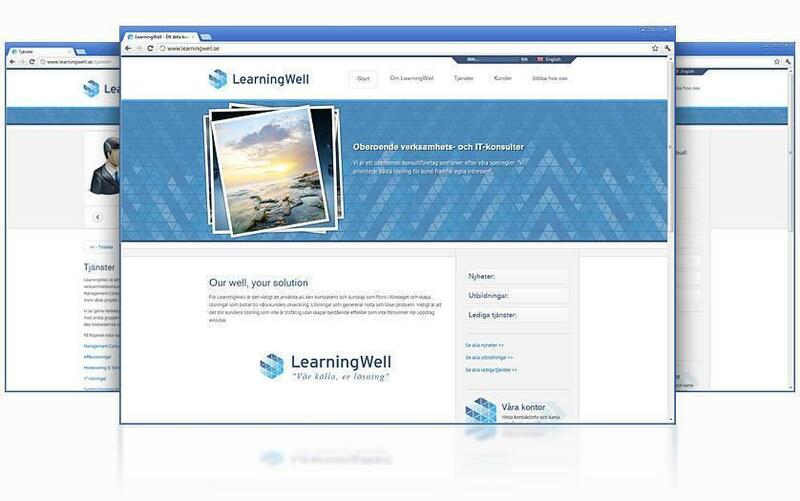 LearningWell had a Joomla 1.5 site that they wanted to develop both in terms of design and technology. We helped them to migrate to a Joomla 2.5 and provided them a new design as well as a good platform for 2012 and 2013 to grow with. "Instead of offering hired-in consultants at the lowest possible hourly price we offer experienced experts with a documented high capacity to resolve problems and be productive as well as having excellent skills in working and cooperating with others. We are seldom the least expensive on an hourly basis but we are unbeatable in delivering value for money!" Among other things, we have installed sh404sef, MaxiMenu, Xmap, Admin Tools, Akeeba Backup, JCE editors, and WidgetKit. LearningerWell needed to upgrade their 1.5 to the latest 2.5. We also worked with SEO and offered a course on the handling of Joomla’s basic functions.